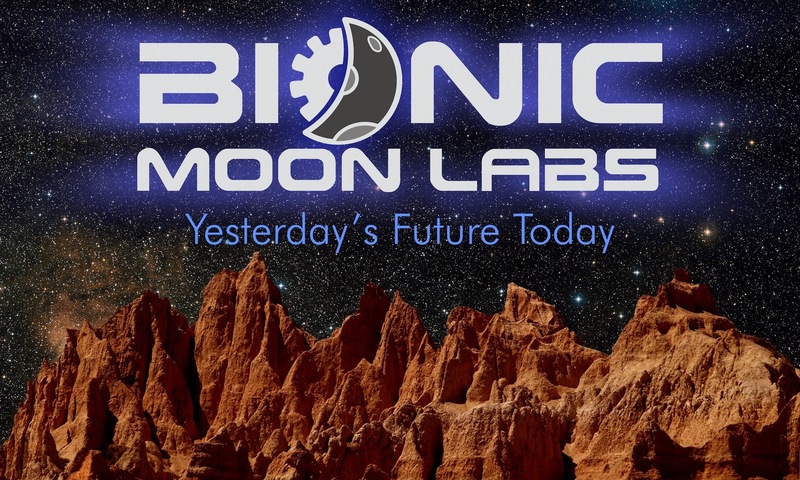 The robots at Bionic Moon Labs are passionate about classic science fiction, working diligently to breathe life into obscure replicas of yesterday’s future technology. Due to the passage of time and scarcity of the original items, our work is an artistic recreation, not a copy. The items showcased on this website are created for our own enjoyment but many will be available for purchase. There are no kits here. Every item is hand crafted, assembled, painted and individually numbered. We believe that prop building is an art, not a production line. We also believe that flaws are beautiful and they are the essence of what makes something truly unique. All of our items have characteristics which represent their journey from individual raw components to a completed piece of prop replica art. If you are the type of collector that demands literal perfection, please look elsewhere. Each item we create is as unique as each of us… beautifully flawed. To provide you with payment options and purchase protection, we utilize Etsy to facilitate transactions. Because each item is built to order and quality is of the utmost importance, there will be a production delay between order date and shipment date. Typical time tables for this are clearly communicated in our storefront.